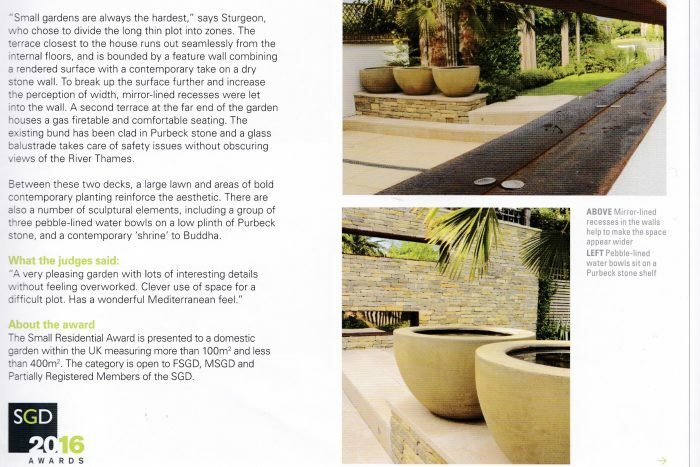 Urbis planters often feature in Society of Garden Design and BALI award winning gardens. 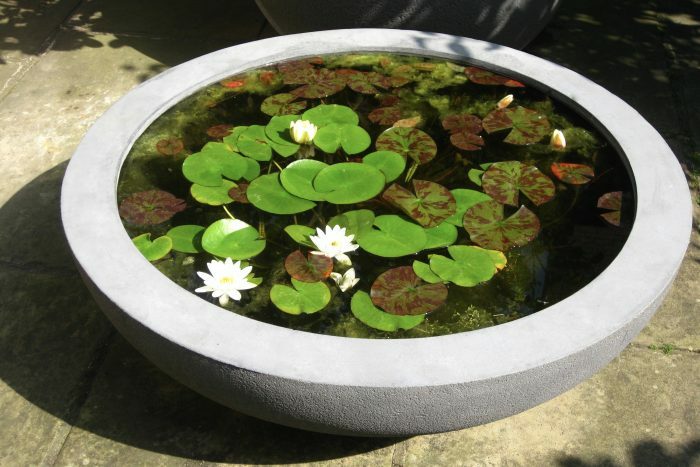 We are so proud of our Lily bowl which has won the Society of Garden Designer’s Product of the Year award for 2015. Thank you to all who voted for us. 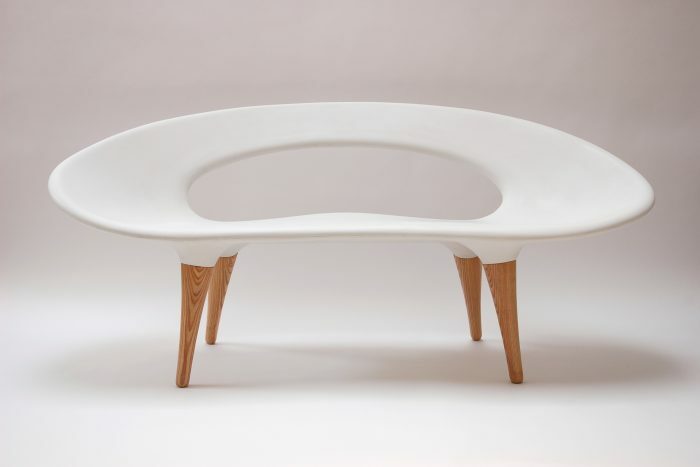 We are pleased to annouce that our Shell Bench has won the furniture award in the 2014 Northern Design Awards. 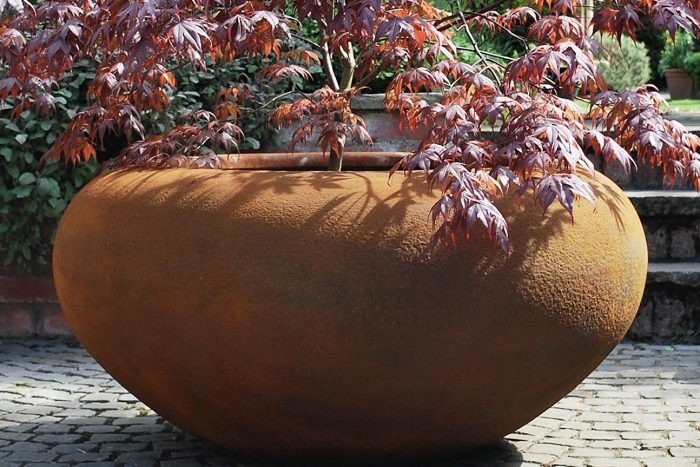 We are proud to announce that our lovely Poppy bowl is a finalist in the Society of Garden Designers’ Product of the Year 2014 category. Urbis Design was one of six companies shortlisted for Best New Exhibitor at 100% Design. 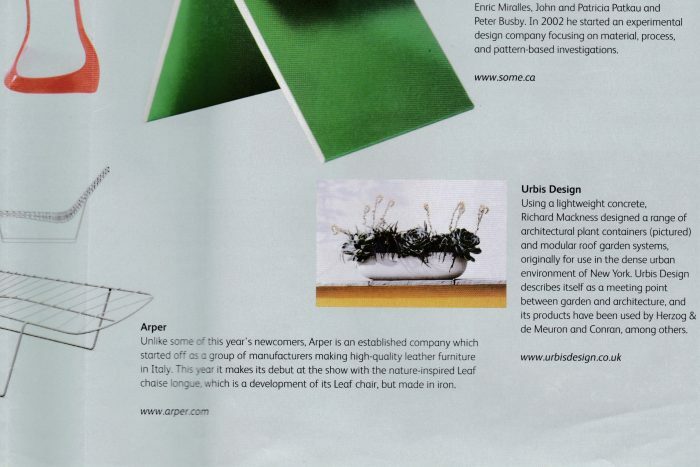 Here is a review of the finalists in Blueprint magazine. 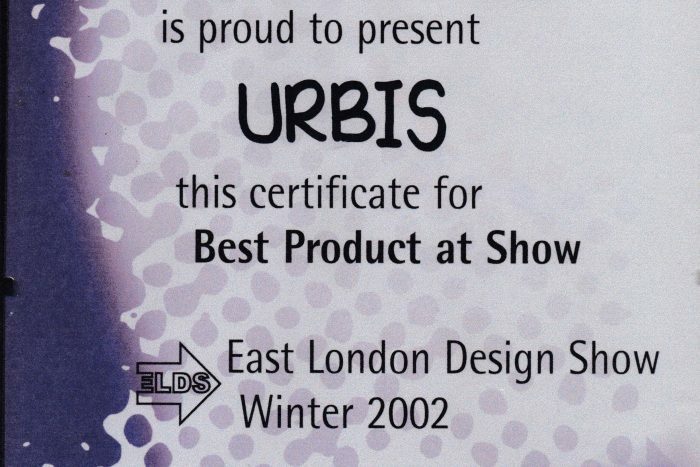 Urbis planters were awarded the ‘Best Product at Show’ at one of their first debuts at the East London Design Show in 2002 .